Jan 24, 2005 I Annoucements. Anywayz, we really praise God for all you guys in PowerHouse. 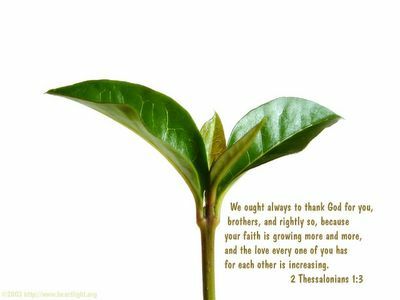 You’ve all really grown in the Lord by….wow….amazing….heaps….really. From when we first met in Feb 2004 till today. You guys are not the same man….you faith has really grown. Your love for Jesus is really huge now….and also the way you care and love for each other. It’s wonderful to see how God has touched u guys. And how all of you are willing for God to touch u! That’s the most important thing. That we are willing vessels of God. I just wanna say…praise the Lord that you’ve all grown in stature in Him…..Amazing…. ps: yalah….Bob still in Sri Lanka…so it’s me Suz writing on our behalf lah…Just felt in my heart that this is a verse that is so fitting for all you bunch…..